Fred takes pause to view the beauty of the day during our fishing trip yesterday. 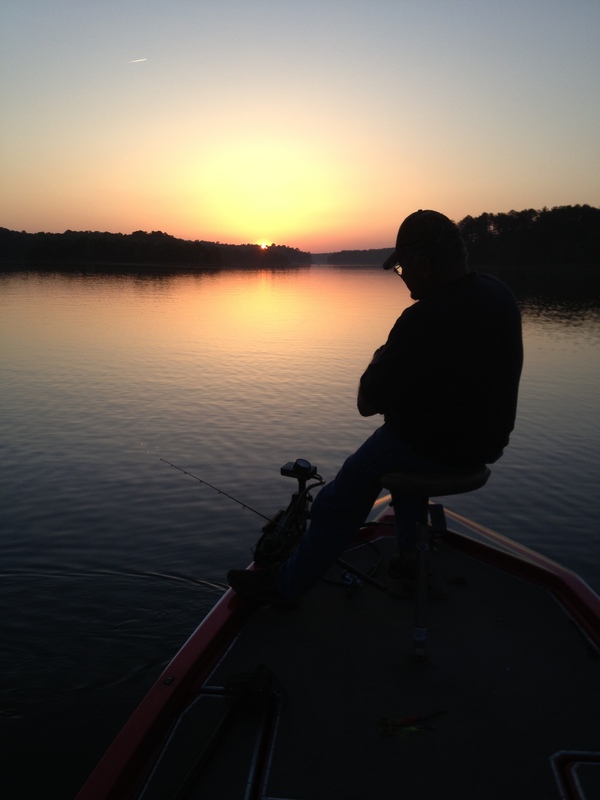 This entry was posted in Fishing, Fred and I and tagged Fishing, Outdoors, Photography, Sunsets by Mud. Bookmark the permalink. Beautiful shot Mud, well done! BTW there’s a new movie called Mud after the main character’s name. Was that you? LOL! “Mud caged and skittish, like a stray dog, equal parts pitiful and dangerous”. Hmm, could be. You know how we southern rednecks can be! LOL! Congrads on your milestone. You do have a great blog that I enjoy following. Thanks Mud :-). I saw the movie, it was good!